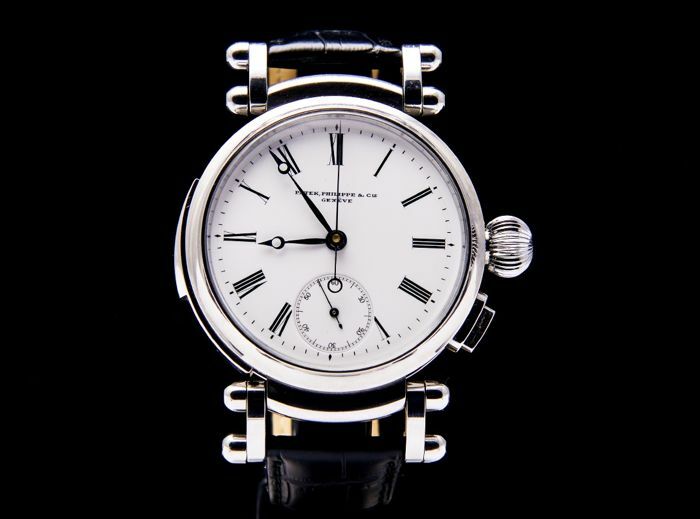 The Patek Philippe watch only one in the world !! 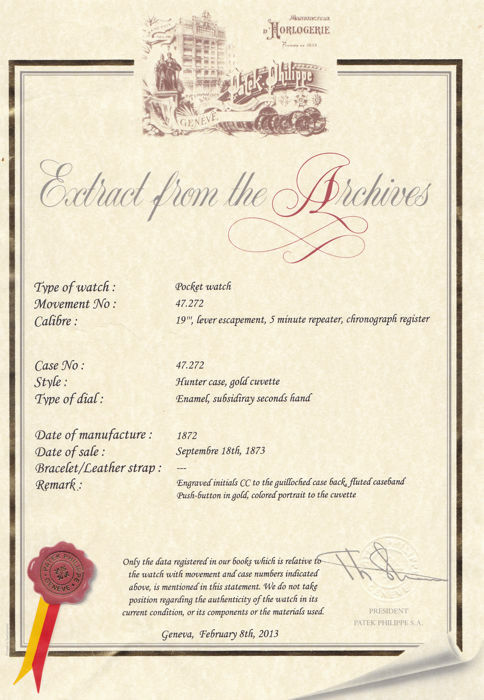 with original certificate from patek philippe archives !! 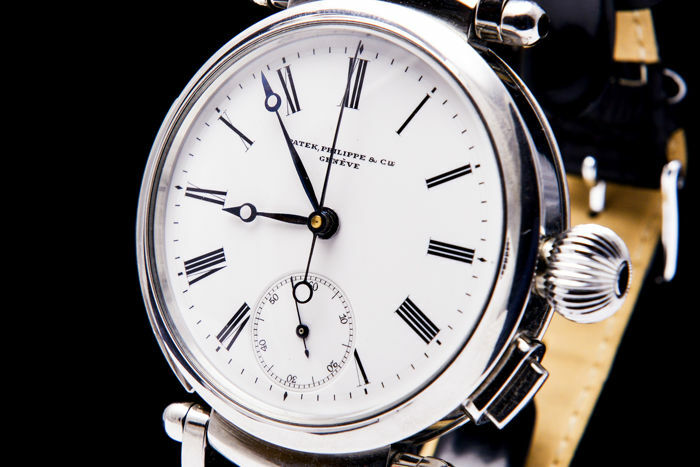 Patek Philippe 5-minute repeater and chronograph from 1872. 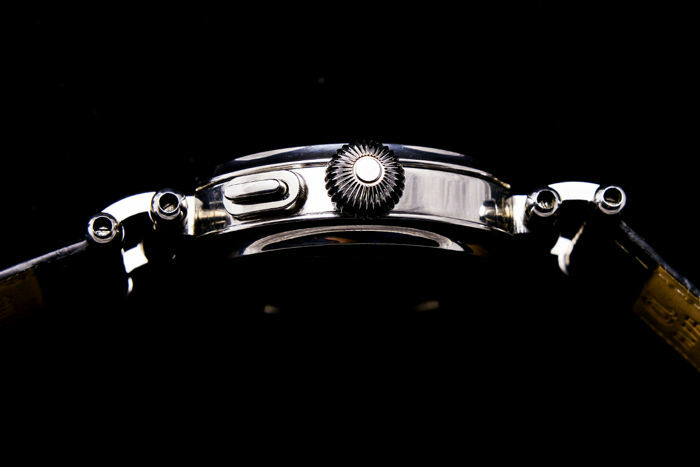 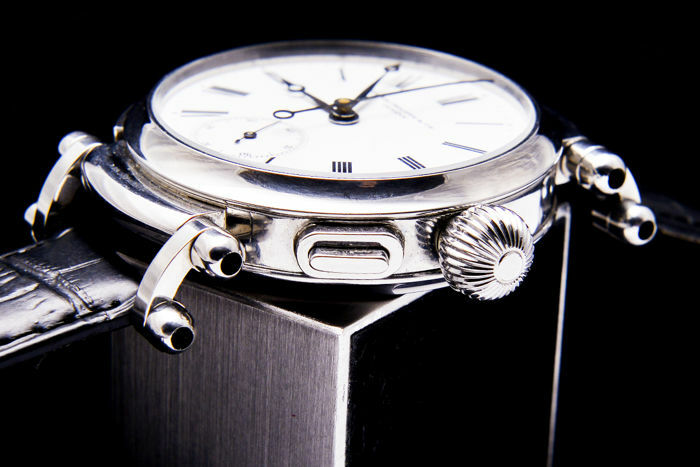 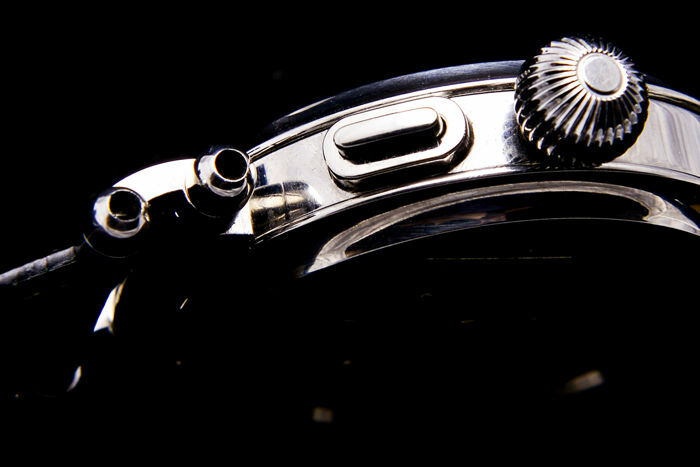 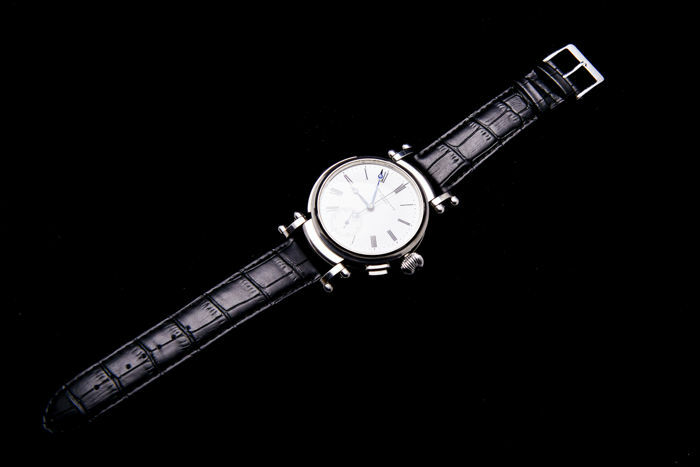 The case was made of stainless steel especially for this movement considering the movement's fixing points. 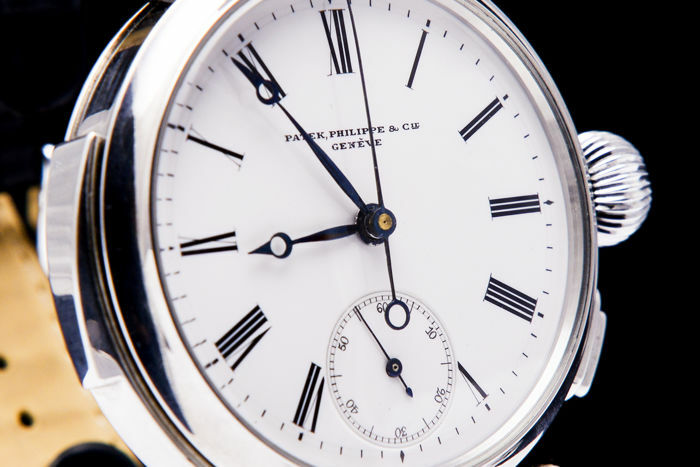 Patek Philippe mostly signed the cases only before 1880. 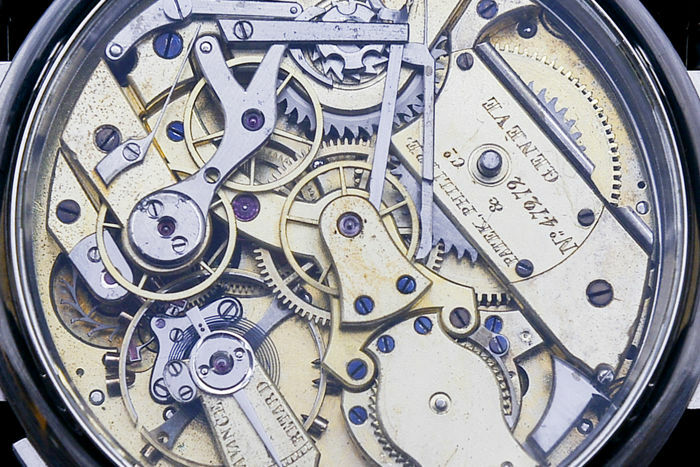 The movements and dials were not signed except in some examples. 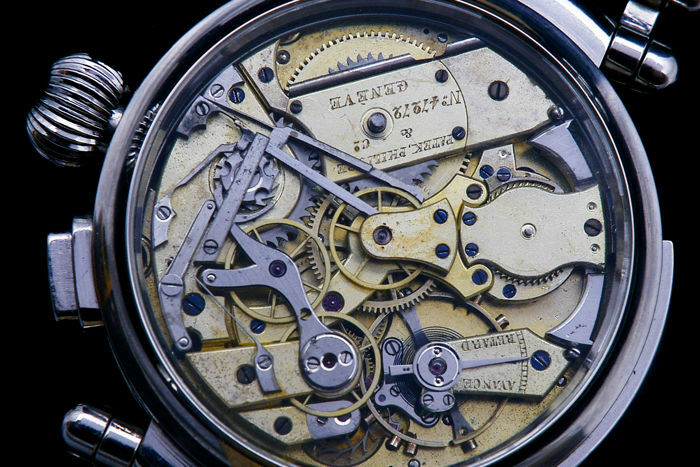 The movement is SIGNED ORIGINALLY BY THE FIRM IN 1872. 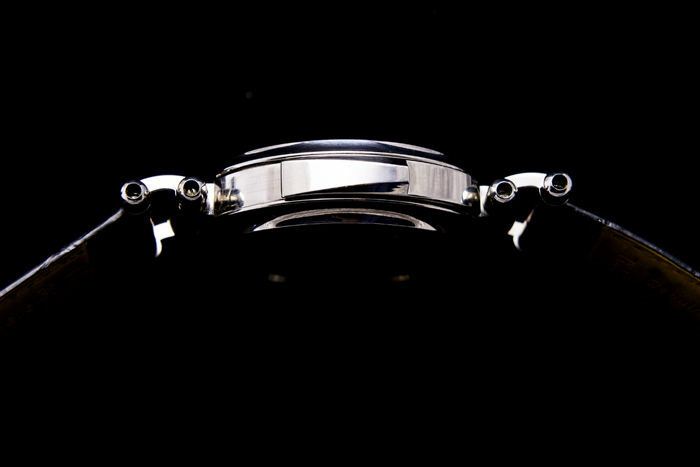 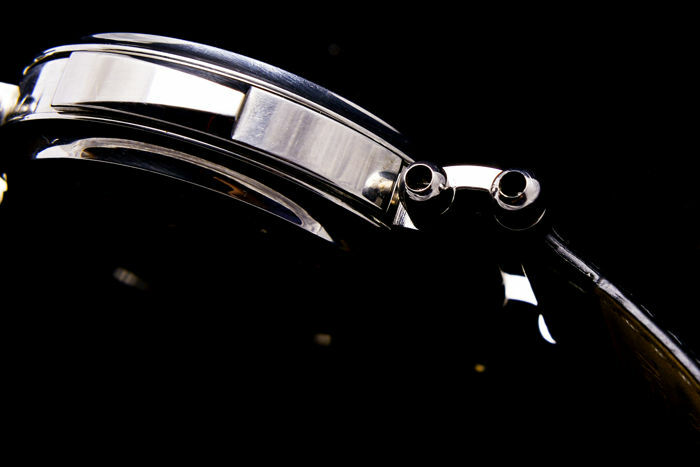 The movement is a "one pusher" chronograph and the repeater can be activated by the slide at the side of the case. 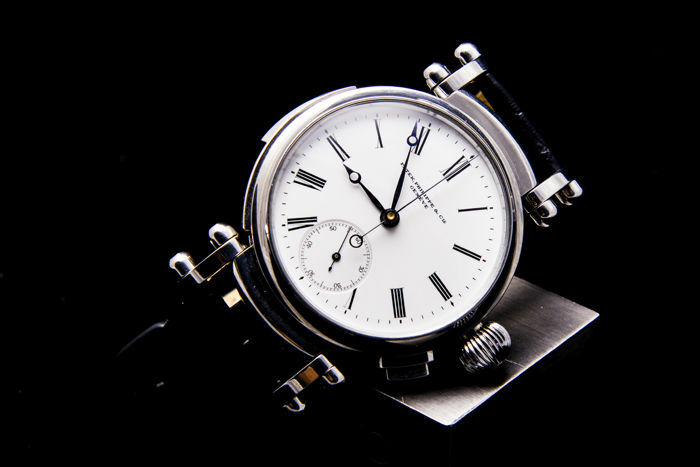 The repeater chimes the hours and every 5 minutes passed on two gongs with two hammers. 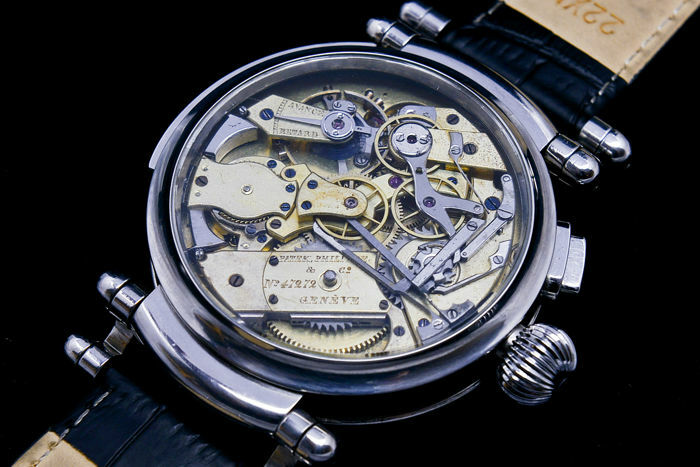 This movement is a unique cause this type is a hardly seen type, there is no example of this even in the Patek Philippe book. 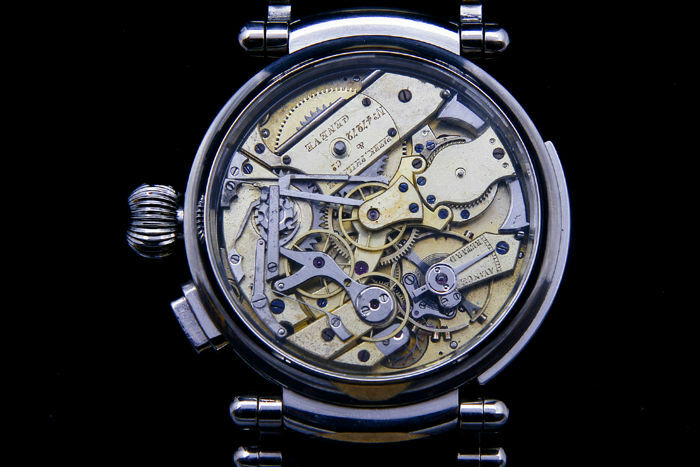 I have seen only one similar movement sold on an auction in Europe. 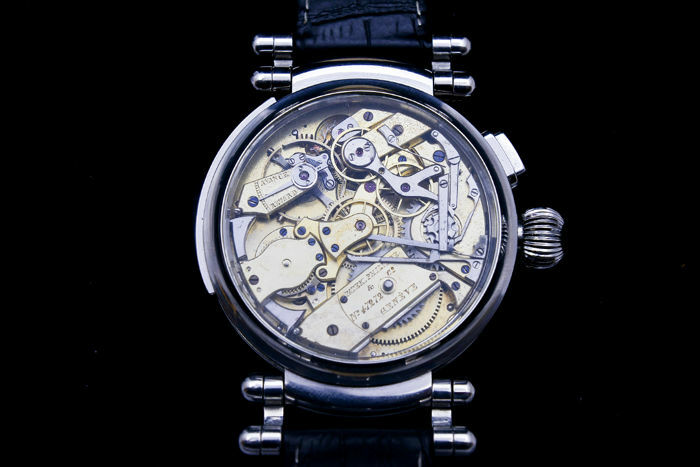 The size also makes this movement unique regarding most of the repeaters+chronogrpah movements are 45+mm but this piece is about 42-43mm. 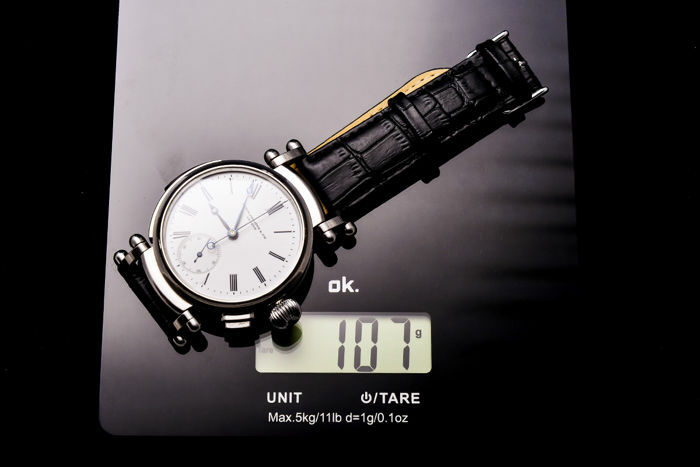 The case measures the perfect size of 47mm. 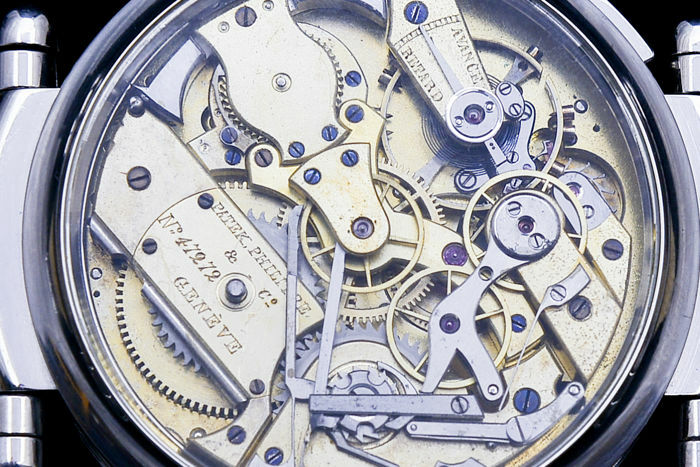 The movement has a certificate issued by Patek Philippe which is about the original pocket watch and proves that the movement was made in 1872. by Patek Philippe and sold in 1873. 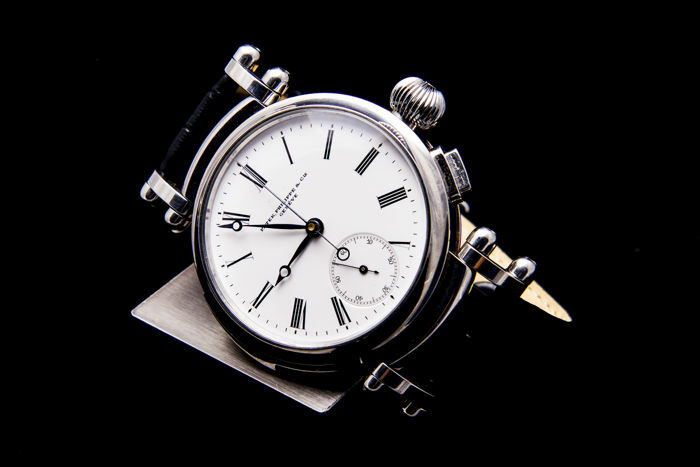 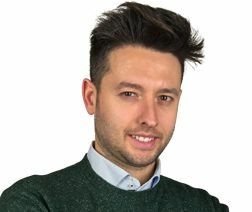 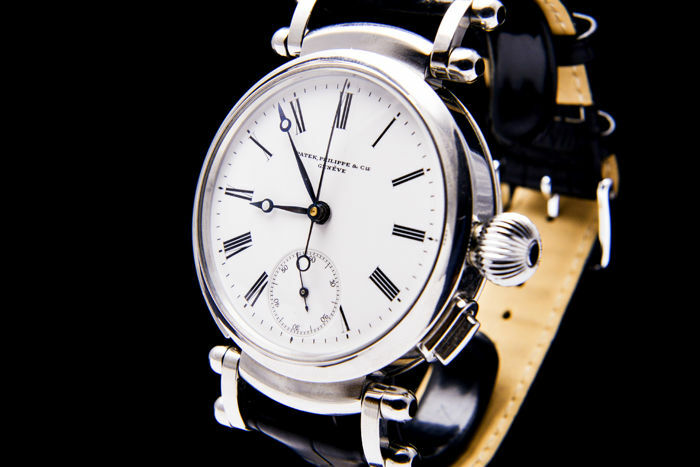 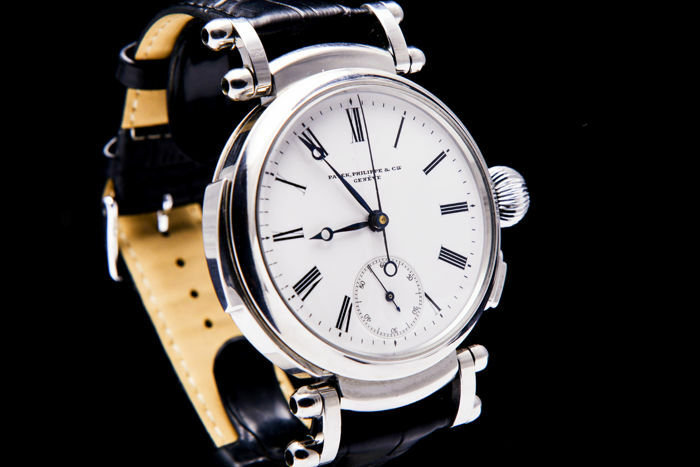 Regarding the date of the production of the movement, both the founder Antoine Norbert Du Patek and his partner Adrien Philippe were still alive, this movement was handed by Adrien Philippe. 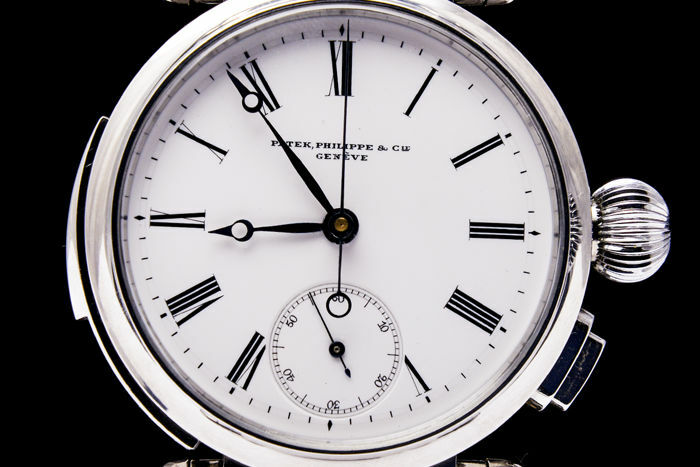 Jean Adrien Philippe (16 April 1815, La Bazoche-Gouet, Eure-et-Loir – 5 January 1894) was a French horologist and cofounder of watchmaker Patek Philippe & Co. of Geneva, Switzerland.